The first hour, “Stillwater,” finds Sam (Rachel Bilson) and Eddie (Eddie Cibrian) traveling to California to investigate the disappearance of a woman who may or may not have been abducted. The second episode has double the family drama, as Detective Rollins (Aliyah O’Brien) asks the duo to help with her troubled younger brother, while Sam has familial issues of her own. 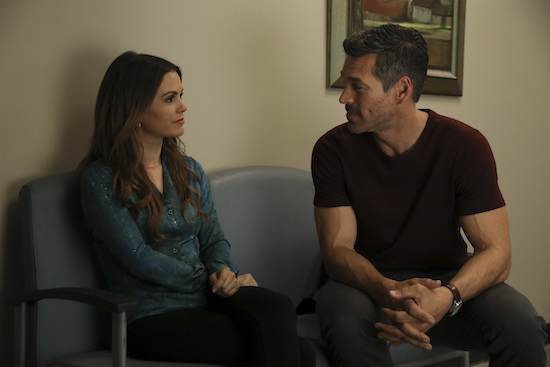 After embracing Sam’s (Rachel Bilson) past with her childhood role and ex-fiance, TAKE TWO dives into Eddie’s (Eddie Cibrian) history in this week’s brand new episode. When the duo’s current client—who hired them to find his MIA wife—winds up dead, Sam and Eddie have to both try and solve his murder and find the man’s still-missing spouse. But things get rough for Eddie: while he seems content with his current P.I. life, the case reopens some of his past issues with the police department. 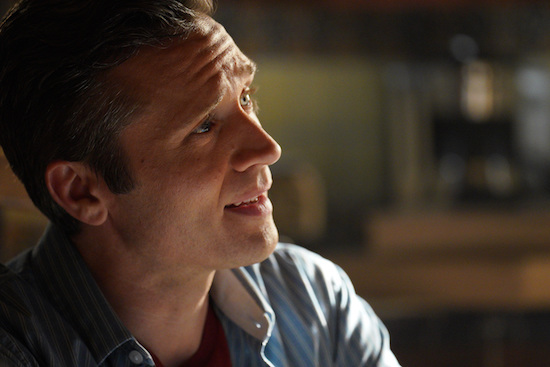 Check out some photos from the hour, “Ex’s and Oh’s”! 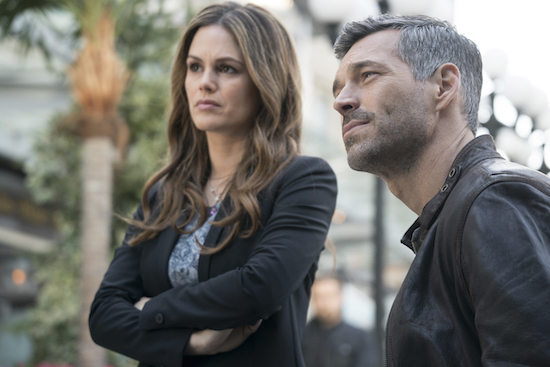 For TAKE TWO’s mismatched duo Sam (Rachel Bilson) and Eddie (Eddie Cibrian), their partnership has been a roller coaster already. Sure, former superstar Sam has enjoyed her time tagging along with P.I. Eddie, but he’s been a bit cranky about her presence. 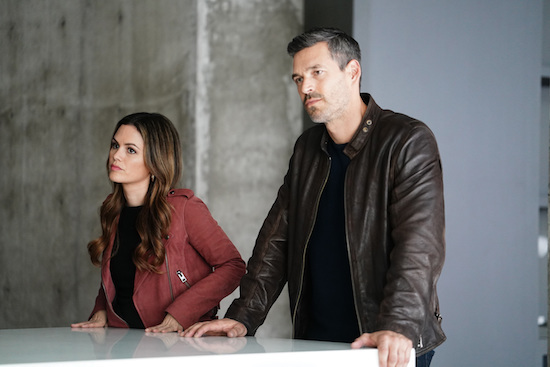 When a nightclub owner hires Eddie (Eddie Cibrian) and Sam (Rachel Bilson) for a case on Thursday’s episode of TAKE TWO, the duo have wildly different responses: Sam has a fondness for the man, while Eddie’s opinion is colored by his own past interaction. Over eight seasons, CASTLE’s Castle (Nathan Fillion) and Beckett (Stana Katic) bantered, solved crimes, and eventually started a life together. Now, Andrew Marlowe and Terri Edda Miller—two of the biggest forces behind CASTLE—are back with a new romantic-dramedy to help fill the void. 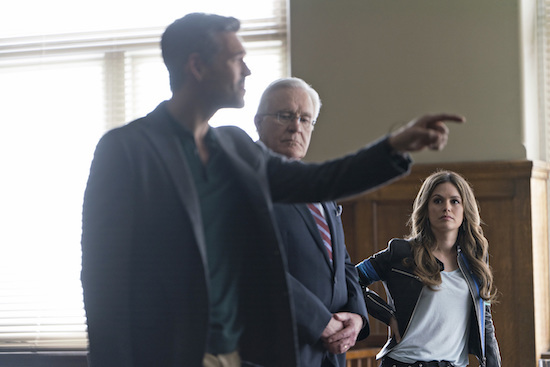 In TAKE TWO (airing Thursdays at 10/9c), ABC’s newest (light) procedural, actress Sam Swift’s (Rachel Bilson) shadowing of private investigator Eddie Valetik (Eddie Cibrian) quickly leads to something more: a genuine partnership, as Sam realizes she actually enjoys this new gig. Eddie, for his part, isn’t immediately thrilled with Sam’s presence…but he does appreciate the new business she’s bringing in. And in Thursday’s episode, “The Smoking Gun,” Sam is once again able to prove her worth, including using her acting skills to get some much needed evidence. 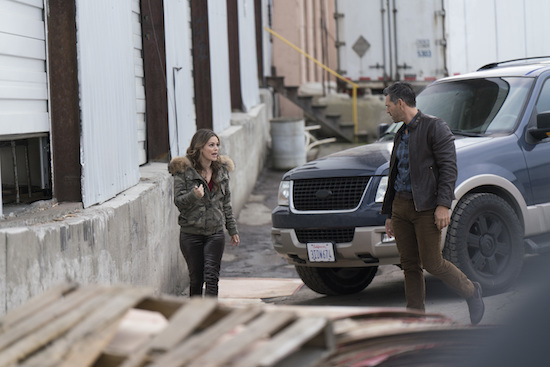 Now that actress Sam (Rachel Bilson) and private investigator Eddie (Eddie Cibrian) have teamed up—though he’s more reluctant about the pairing than she is—it’s time for them to officially get to work. In Thursday’s episode of TAKE TWO, the duo’s routine stakeout turns deadly, and the team has differing opinions on how to handle the case. The first TAKE TWO teaser is here! The ABC drama—from CASTLE’s Terri Edda Miller and Andrew Marlowe—follows an actress (played by Rachel Bilson) who shadows a P.I. 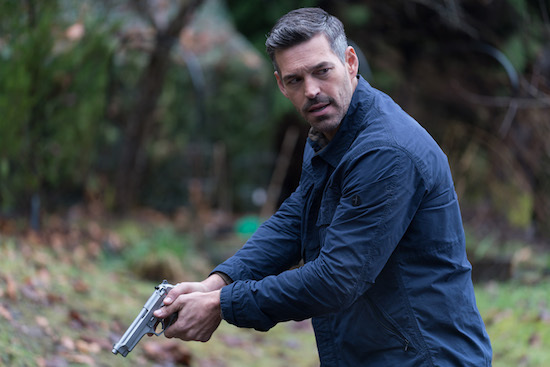 (Eddie Cibrian) to research a potential new role.